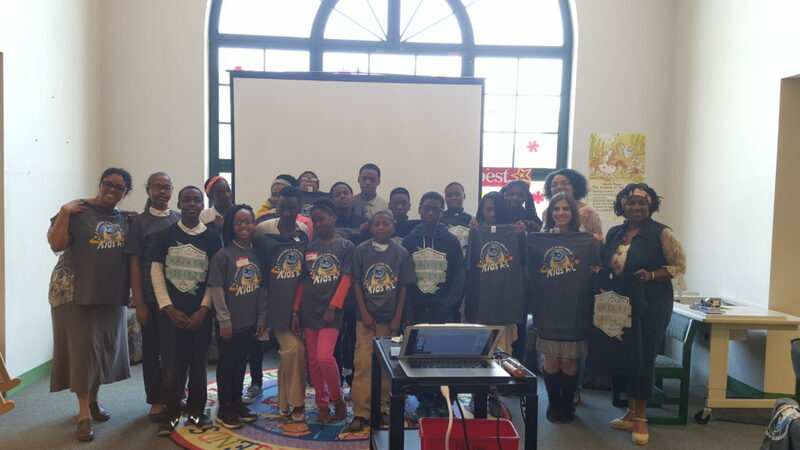 Through the MorningSide community partnership with Ronald Brown Academy, the Detroit Digital Justice Coalition (DDJC) launched a community technology project, a Website Development training series for a cohort of sixth graders. 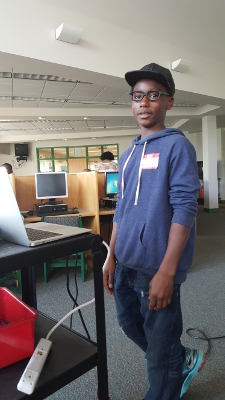 The objectives of the three session series were to expose students to the concepts of coding and introduce them to the key coding languages of HTML, CSS, and Java Script so they could create websites. They were also introduced to Leaflet, a mapping tool, to create visual displays of their memorable times. DDJC representatives shared the students’ websites, maps and distributed Certificates of Achievement at their end of year celebration on June 9. The DDJC, a sponsored project of Allied Media, is comprised of people and organizations in Detroit who believe that communication is a fundamental human right. We are securing that right through activities like this, that are grounded in the digital justice principles of access (that all members of our community have equal access to media and technology, as producers & consumers), participation (prioritizes participation from the underserved and underrepresented and demystifies technology to encourage use, creation of our own technologies and participation in the decisions that will shape communications infrastructure), common ownership (tools and technologies that are free and shared openly with the public), and to create/sustain healthy communities (academically & financially equitable). Through this collaboration we demystified technology, engaged, and informed Ronald Brown Academy students about the impact of data and their possibilities for creating anything!